Our Mission: Building unforgettable memories through safe traveling! Travel is not about riding on buses, flying on airplanes, or booking hotels, but travel is all about the unforgettable feelings and memories you bring back with you. At , we seek to provide our customers with positive travel experience, delivered with a sense of Thais' Warmth & Friendliness. To make your traveling safe & friendly: We have a team of experienced, friendly English speaking chauffeurs with minimum 10 years experience working in luxury 5 star hotels and resort. 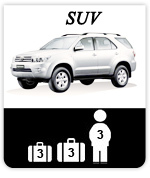 Phuket Airport pick ups: you will find our driver standing at the exit, holding the board with the lead passenger name. * International Flight- should use exit of International gate. * Domestic Flight - should use exit of Domestic gate. Hotel pick-ups: the driver will meet you in the hotel lobby. Airport Transfer There will be an additional surcharge of 200 baht if use of the Airport transfer during the period of 9pm – 6am. Car Rental with Driver & Phuket Sightseeing There will be 500THB additional apply if use of the Airport Pickup Service combined with the Car Rental with Driver Services. 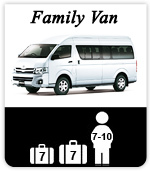 Car Rental with Driver + Airport Transfer In or Out (Rental hours for use in total) Please note that the total use of the Airport Pickup Service combined with the Car Rental with Driver is full rental hours. This involves the airport Pickup Service, check in to hotel which is immediately followed by the City Tour (or take the City Tour first and drop off at the hotel later). 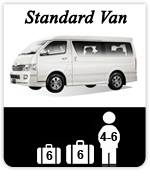 The opposite also applies: Guests are also able to take the City Tour immediately followed by transfer to the airport. • Extra Hour, additional over time charge 300THB per hour will be apply between the hours of 6 am to 9 pm. And 500THB per hour will be apply between the hours of 9 pm to 6 am. 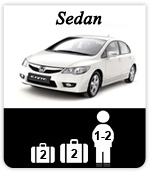 Further information please visit “Car Rental With Driver Page” or please contact us. Copyright ©2013, MyServiceMyTravel.com, All right reserved.